The last few of years have seen a magnificent resurgence in the Star Wars presence of Mark Hamill, to the point that he’s gone from being on the periphery of the Star Wars experience to being at its very centre. 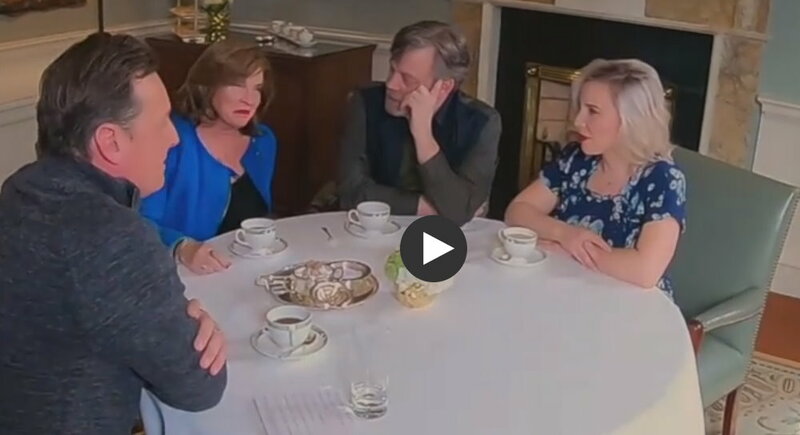 ABC catch up with Mark, Marilou and Chelsea to discuss that experience and his thoughts about the loss of Carrie Fisher, which in relation to the films is illuminating and totally understandable. Mark Hamill’s wife and daughter open up about traveling the world together and the loss of Carrie Fisher.